There are times where it may be applicable to change the owner of a project, switching to a different organisation. To do this you must be an administrator. 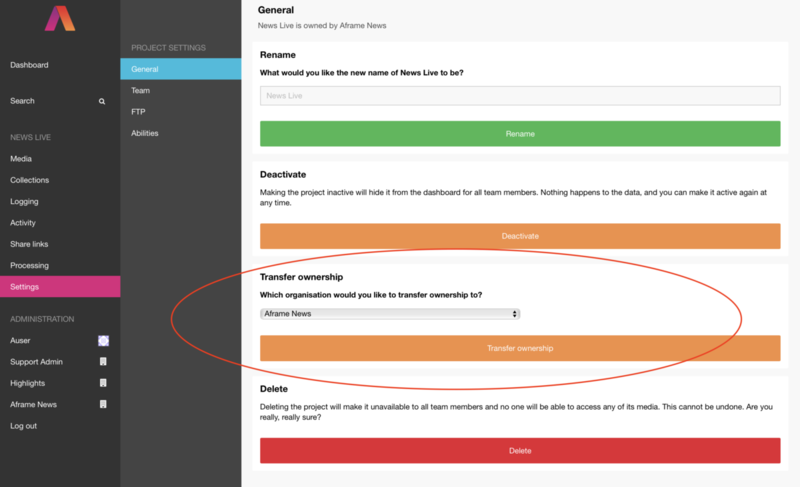 Jump into the project that you would like to switch ownership and select &apos;Settings&apos; from your menu sidebar, where you will land in the &apos;General&apos; section. Look down the options in this section and you will see &apos;transfer ownership&apos;, where you can select the drop down window for other organisations to change to. Simply select which organisation and &apos;Transfer ownership&apos; button.